after the Swankiss, Innocent world also released their fukubukuro today. And I got their cheapest option for 30.000Yen plus 2.400 tax. (yeah, the cheapest, no kidding there). 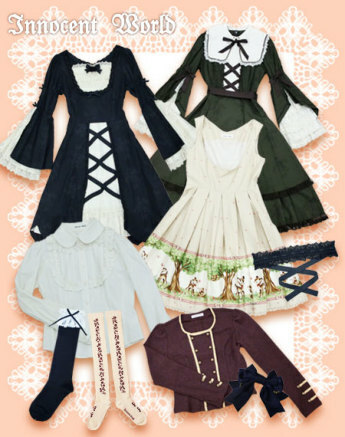 It seems like there will be one dress, one blouse, a skirt, a cape (? ), two pair of socks and two hair accessoires. And of course, knowing the prices of Innocent world, 30.000Yen is really a good deal for that. 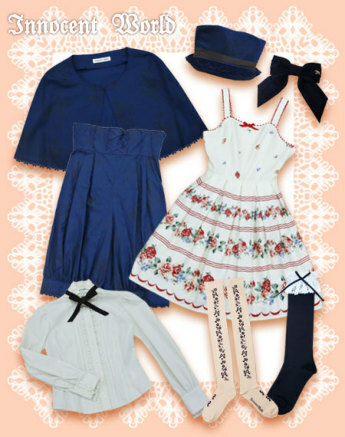 For 50.000Yen (plus taxes) you get three dresses, a blouse, one jacket, socks, and accessoires. Look at all those items you will get! Maybe I'll treat myself to this lucky pack next year! 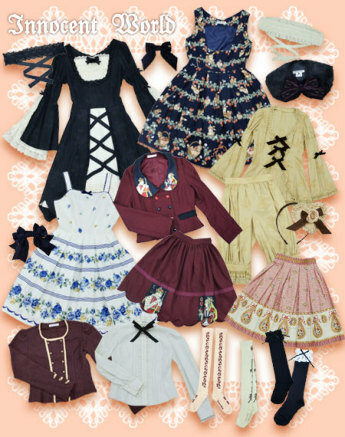 Liz lisa ist super late this year and just released information about their lucky pack today. I checked and last year they were much earlier! The items will be up for reservation from the 11th of December at 7pm Tokyo time (11am CET)!